We are affiliated to all the recognised cycling bodies, Racing and Tourist. We are interested in anything related to cycling – if we don’t do it now, ask! Our Sponsor is Rudy Project via Yellow Limited. Thanks to their generosity, members can obtain excellent clothing at budget prices. 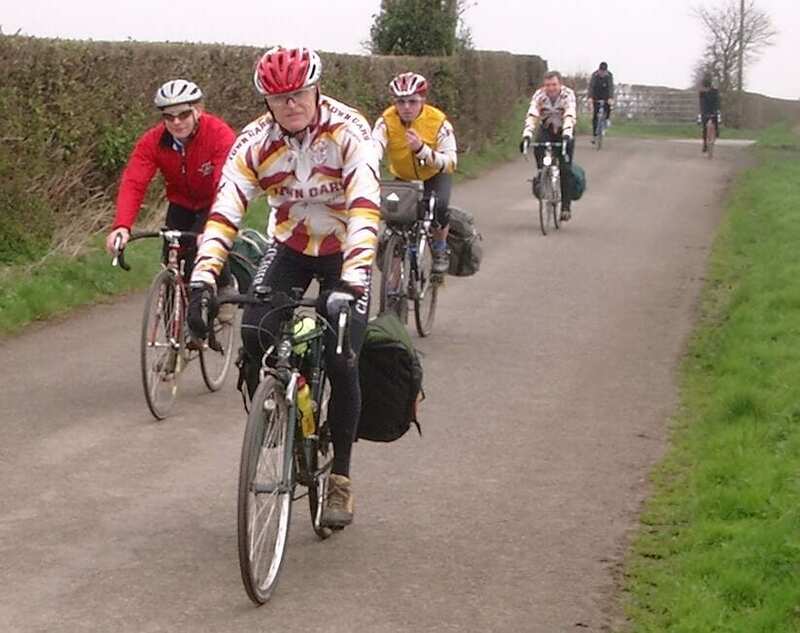 We attend County Council cycle liaison meetings and our opinion is sought on cycling infrastructure in Gloucestershire. We publish a magazine (Spokespiece) 3 times per year and we highlight upcoming events and cycling issues on Facebook. We use the facilities of the Gala Club for Club events. We run a full programme of Time Trials (TTs) under the rules of Cycling Time Trials (CTT) and Western Time Trial Association (WTTA), on Wednesdays from April to September. Open to anyone over 12 years old, but under 18s to be accompanied to and from the venue by a responsible adult (18 or over). We arrange sports or training rides, depending on attendance on Sundays and on a regular schedule midweek. Serious athletes only – please be sure you can keep up or are happy to find your own way home! We arrange Open Road Races in coordination with BC and Open TTs in coordination with CTT/WTTA. We are affiliated to the Road Records Association (RRA) and Western Counties RRA (WCRRA), organisations that verify and certify best performances of road cyclists over given routes. Club members may participate in road races as part of the Cotswold Cycle Racing League (CCRL). 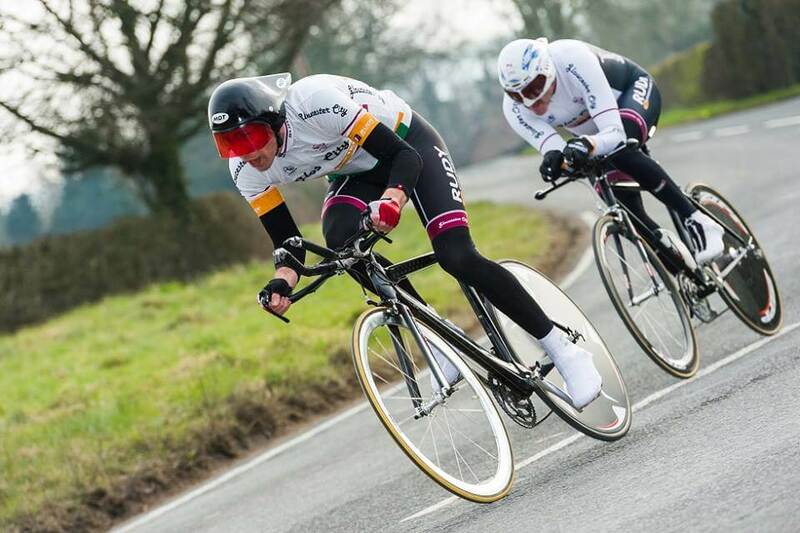 Our members take part in British Cycling (BC) Open races. BC controls all Road, Track and Cyclo-Cross racing in Great Britain. Individual BC membership (which provides various benefits) is a requirement for BC events. We organise social and recreational (Club) rides to booked coffee stops every Sunday, year-round. Sunday Club rides involve good company, cakes, exercise and maybe a beer if you wish! Club Rides are graded into categories by difficulty – see Which Ride? for details. Rides range from easy (AA) through to physically and mentally challenging (C), so newcomers are advised to be modest about capabilities until you find your level, because nobody is left behind on a Club Ride. Regarding children (legally, under 18), please see our Young Rider’s Policy on Page 2 of the Membership Application Form. We organise Midweek Club Rides or social events every Tuesday, year-round. The ride difficulty level is usually modest, and the events always involve social interaction in a convivial setting. There may be an Off-Road Option (ORO for short) on any Club Ride. If ORO is in the schedule, contact the Captain/Vice Captain, or check Facebook for details. We are affiliated to Cycling UK (http://www.cyclinguk.org) which supports all cyclists, campaigns on cycling issues and promotes cycling for commuting and recreational use. 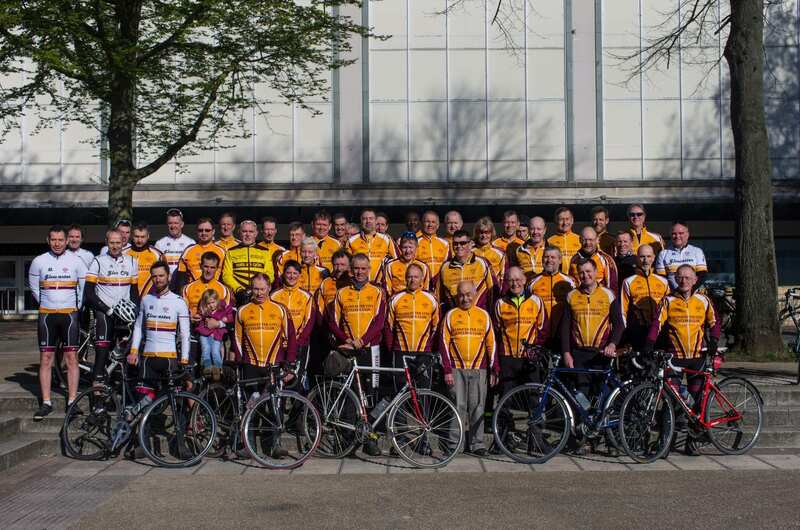 Cycling UK (formerly CTC) has a strong heritage in touring, home and abroad. Cycling UK Membership provides various benefits, and our members may join as an Affiliate at a reduced rate. We organise two Club tours each year (Spring and Autumn) to UK destinations. Our members often arrange tours at home or abroad – watch out for notices on this web site, via email and our Facebook pages.